Legal & General Group Plc reported record cash generation in the first quarter boosted by a 19 percent increase in annuity assets. (Bloomberg) — Legal & General Group Plc reported record cash generation in the first quarter boosted by a 19 percent increase in annuity assets. The largest U.K. manager of pension assets increased net cash 8 percent to 326 million pounds ($496 million), the statement showed Wednesday. 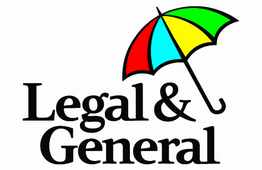 Legal & General completed 15 bulk annuity transactions, increasing total assets to 45.6 billion pounds. Individual annuities sales were down 60 percent. “Our business is aligned to long term macro growth trends,” said chief executive officer Nigel Wilson. L&G’s reported full-year profit that fell short of analyst estimates in March, sending the shares down by the most in a year as net inflows slowed at its investment unit. The insurer has expanded its corporate pension business to offset a slump in individual annuities from government changes to the pension system.